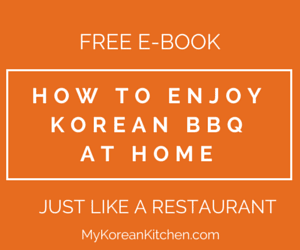 What is Korean black bean paste (Chunjang)? Let’s learn! Korean black bean paste (Chunjang, 춘장) is made from a salty fermented soybean and coloured with caramel. 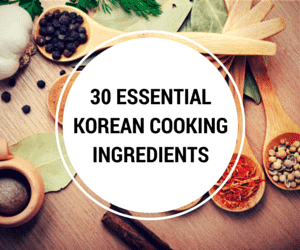 It is an essential condiment to make “Korean black bean sauce noodles (Jajangmyeon, 자장면)“. 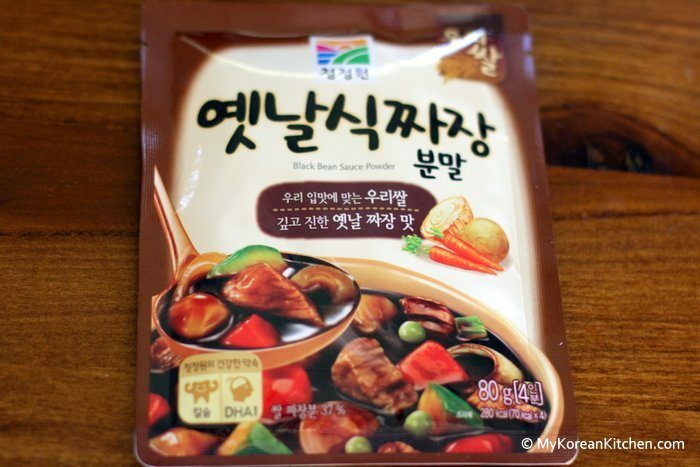 It has a slightly bitter and salty taste on its own, so some sugar is added when making Korean black bean sauce (Jajang, 자장: stir-fried Korean black bean paste with meat & vegetables). While Korean black bean paste may have been introduced by a Chinese merchant into Korea, it is different to Chinese black bean paste as it evolved to meet Korean’s taste buds. 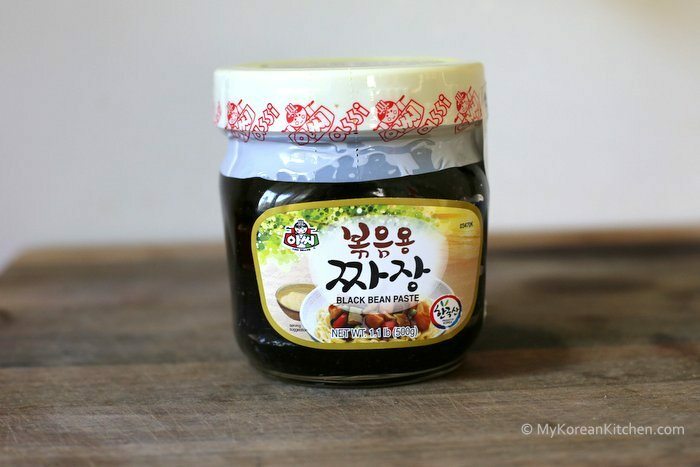 The above container of black bean paste (500g) was purchased for $3.30 (AUD) and this or a similar one should be available from any Korean/Asian grocery store. 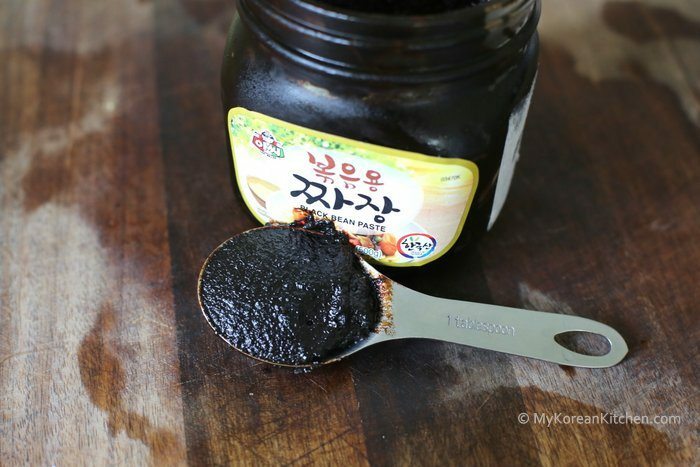 An alternative to this Korean black bean paste is Korean black bean sauce powder, as below. It is easier to use than the paste as all you need to do is dissolve the powder with water. However, it doesn’t give as deep flavour as the paste. If you already opened the bottle, store it in the fridge. If it is unopened, keep it in your pantry. I have a lot of 0 sodium Korean Red Pepper Powder and would like to make a low sodium sauce out of it. Any ideas? Hi Sue. I’m wondering if there’s any uses for this paste besides making Jajangmyeon? I really like the taste but not sure what else to do with it. Can it be used for example as a stir fry base? Hello Sue! I wanted to make 짜장면, but the black bean past I have (same brand as pictured in this article) has an expiration date from 2014. Four years past it’s due date, can I still use it? 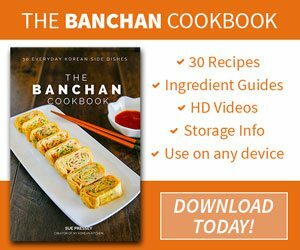 Is it possible to substitute chunjang with ssamjang for black bean noodles? If not then would black bean garlic sauce work? No, Chunjang and Ssamjang are totally different. (Please do not attempt it!) I haven’t tried black bean garlic sauce either, but others have said it gives a different flavor to authentic Korean black bean noodles. Hi Sue, I just couldnt get the black bean paste at my nearest store. Can i use Deonjang instead? Thank you so much in advance. Hi Ivy, I’m assuming you want to make black bean noodles? If so, please, NO!!! They are totally different. Where do you live? Did you consider an online store? May I know does all chunjang contains pork,alcohol and lard in the paste? In Chinese, it’s called Douchi. Hello! I was watching some food videos on Youtube and got really craving for the black bean noodles I always see people eat with so much gusto. It looks so… hearty and fulfilling. Like it’s something you gobble gobble while your eyes roll up into your skull. I live in the outskirts of Japan and can’t really travel out into the metropolis just to get ingredients. At our local supermarket though, they have a very limited Korean aisle. At first, I tried the ready-to-eat Jajangmyeon packets they have there. But it must’ve been Japanified; its orange-color sauce is like tomato-based and really sweet and watery with lots of carrots for some reason. The meat inside is ground into tiny bits. It’s good, but I want the real experience. So I want to cook it on my own. I managed to get most of the ingredients… except for the most crucial one. Alas, they don’t have that Chunjang black sauce. So I was wondering if I can substitute it using 甜麺醤 (Tienmenjang)? Hi Roland, I’m not familiar with the sauce you’re referring. If you’re really keen, you will have to give it a try and see if the taste comes close to the real Jajangmyeon sauce. Like you said, chunjang (black bean sauce) is very important in this dish. FYI – some people who tried Chinese black bean sauce told me that the taste wasn’t the same. (I’m not sure whether this Chinese black bean sauce is same as Tienmenjang or not.) Hope this helps! I tried making chunjang,the black bean paste. I thought I carefully followed the recipe that I found online. It was disappointing. The finished product was grayish and not smooth at all like I’ve seen on several blogs. I’ll use it, but I guess I should use the commercial product that is sold at the local Korean market. Hi, Mike.I tried making my own and it turned out greyish too. But I read somewhere they added some sorta caramel coloring before they ferment it so I guess that makes the black color? Does your homemade paste taste like the commercial ones? Any tips about how one could make this sauce oneself? I would want to start with fermented black beans and go from there. Maple syrup? minced ginger and garlic? Thanks for any tips. Hi Pete, As I haven’t tried making the paste myself yet, I can’t offer you any useful tips. 🙂 Though main listed ingredients are soybean, wheat flour, salt and water. I hope to share this recipe one day! Hello, I have some allergies, therefore I was wondering if you can tell me the ingredients of this sauce, does it contains MSG or any beef related ingredients? Main ingredients are soybean, wheat flour, salt and water. I’m afraid to say that this particular brand contains MSG. (Other brand could be different though.) I don’t see any trace of beef. Hi sue..I have a question about this black bean paste brand. i just bought the same as yours. but I m wondering is this brand is suitable for vegetarian? Hi just wondering if the black bean paste had any animal products? As far as I know, the paste itself does not contain any animal products.